Fight? How have recent totalitarian governments been successfully altered? Afghanistan did it through arms and slaughter, over a couple generations, on a tribal level, working toward a common goal, namely to return to tribal laws and custom. That's not going to work here. We're just not that tough or enduring. The Turks did it through a very pro-Western contingent in the military, reorganising the political landscape after WWI finished the Ottoman Empire. Ultimately the Turks decided they'd rather return to those thrilling days of yesteryear. Most of Africa has thrown off the yoke of Colonialism, and made great progress toward returning to the grand old days. The benefits of Colonialism now are enjoyed only by the ruling classes. I don't see an example that we can take to heart. My suspicion is that our time in the sun is coming to a close. The fans of Socialism will celebrate the Great Leveling, and the folks who now rule will still grasp the levers of power, and we will end up like Zimbabwe or Venezuela, as they loot the economy and our resources. It should take long enough - I hope - that I will not live to experience the delights of our new Democratic Socialist experience. Of course, once the Great Leveling takes place, the world economy will collapse, but that's merely an opportunity for the Very Rich to buy up everything at pennies on the dollar. You and I won't like it, but they will. how can they even look at information like this and even begin to want to think about anything rifle related. It comes from a place of so little logic that you can't even argue against it. This is exactly what troubles me the most. Our politicians and these political activists (some of them well intentioned) are not concerned with the data. In every other area of life, they clamor for data, but when it comes to big scary guns, they demand “something” be done. You can’t argue with someone who doesn’t know what they want, but knows they want something. Bottom line: the politicians will pass any bill that makes them look like they are doing “something”, regardless of its effectiveness. I think the point is, and that's what the grabbers want, that this is an incremental path to complete confiscation. If this can pass constitutional muster that assault weapons can be banned, that are the least dangerous in society (knowing its really not guns at all, its people), they will eventually be able to outlaw handguns, that are the most dangerous. I'm not sure any argument is effective in this area. You are simply showing them how to completely destroy the 2A. Maybe this will work for fence sitters, but I really don't know. I have seen this argument made many times by the lobbyist in MD - personally. It's the same brief with slightly different numbers every year. The person giving that brief, who's name temporarily escapes me (John Dougherty is one), works directly with the grabbers, like our fresh prince, Will Smith, who was a former navy officer. I'm thinking there may be another way. I wonder if having a recognized historian testify if that would be better. I recall a female anti-gun individual from the northeast who did some history research in the Heller decision. She became strong 2A supporter after her research. Again, I can't remember her name as well. I would contribute to her travel expenses. John Lott may be anther who would be recognized as a valid witness as well. Pier reviewed real studies is what may be useful. As Ocaam stated, what we think is meaningless. Can MSI find these people? I recall a female anti-gun individual from the northeast who did some history research in the Heller decision. You're thinking of Joyce Lee Malcolm, "the lady who saved the second amendment." Great article. Very intelligent woman. Yea, that's her. Can we get her down here? If you follow the news, the vast majority of murders in the city are in certain neighborhoods that have very high levels of gang activity and narcotics dealing. 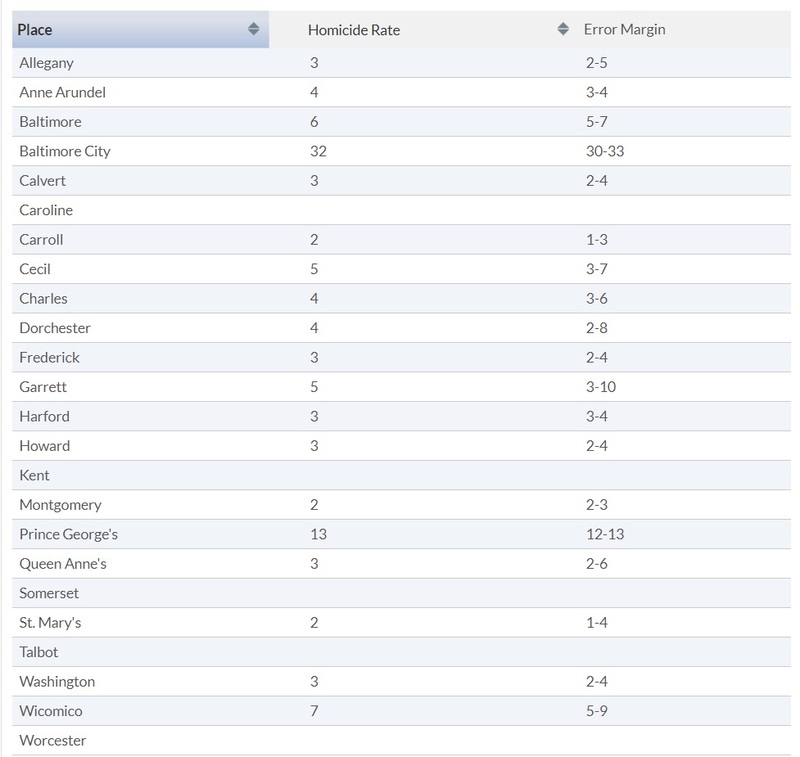 Remember reading the one time a year the Baltimore Sun published FBI stats. White on white - low single digits. Black on white - low single digits, but includes 5yo kids unfortunate enough to be standing behind a street gang during a drive by. white on black. rare and usually self defense. Black on black - almost all of it. So where are the laws cracking down on gangs and narcotics? Guns are not the problem. Clearly, most Baltimore city residents don't kill each other, but of those that do it's usually black v black and generally gang/drug related. Where can the ACTUAL police reports be acquired on the FIVE murders involving rifles? I think it is very important to see WHO committed those 5 crimes?